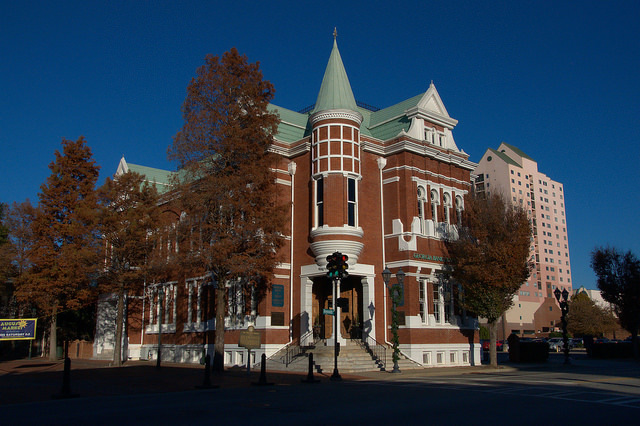 Designed by Enoch William Brown and built during a cotton boom in the mid-1880s, the Augusta Cotton Exchange is one of the most beautiful buildings in the downtown historic district. 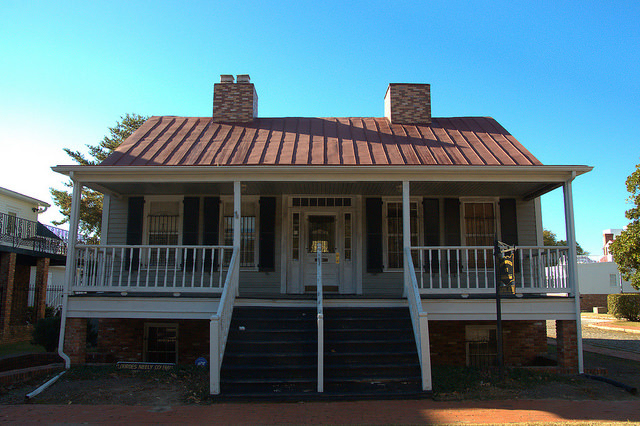 After restoration in 1988, it served as a welcome center for the Augusta Convention & Visitors Bureau and is now a branch of the Georgia Bank & Trust. 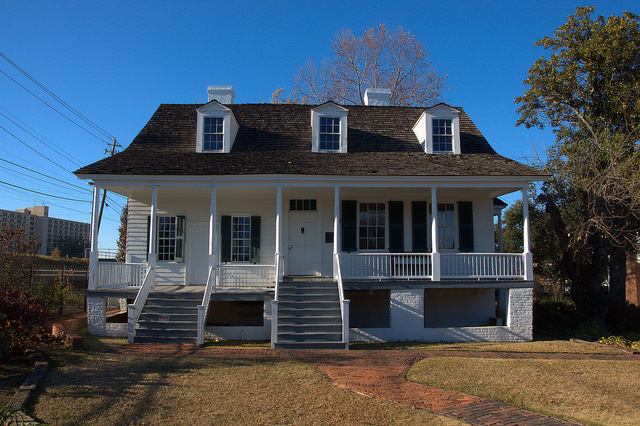 Meadow Garden was the last home of George Walton, one of the youngest signers of the Declaration of Independence. 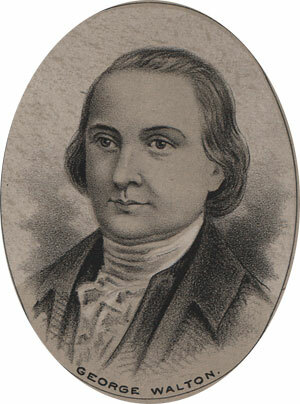 Walton served as a delegate to the Continental Congress, a Colonel in the First Georgia Militia, Governor of Georgia (1779-80 & 1789-90), U. S. Congressman, Chief Justice of the Georgia Supreme Court, and United States Senator. Thanks to the efforts of the Daughters of the American Revolution, who still maintain the site today this important vestige of our early history was saved from the demolition in 1901. 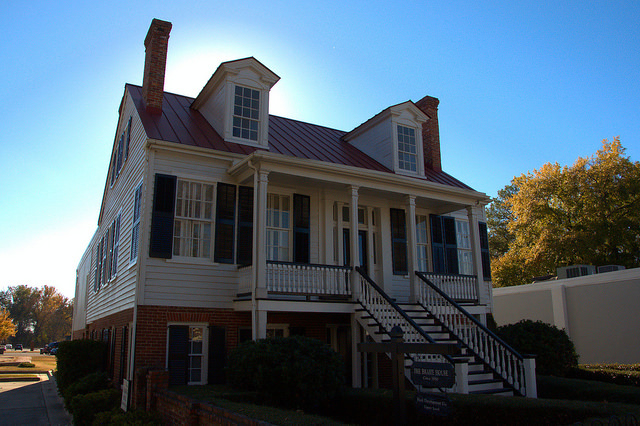 It is Georgia’s oldest house museum and one of the top attractions in Augusta. The central section of this structure housed the old Richmond County Courthouse, making this the oldest standing courthouse in Georgia. (The oldest in its original form in the 1825 Fayette County Courthouse). 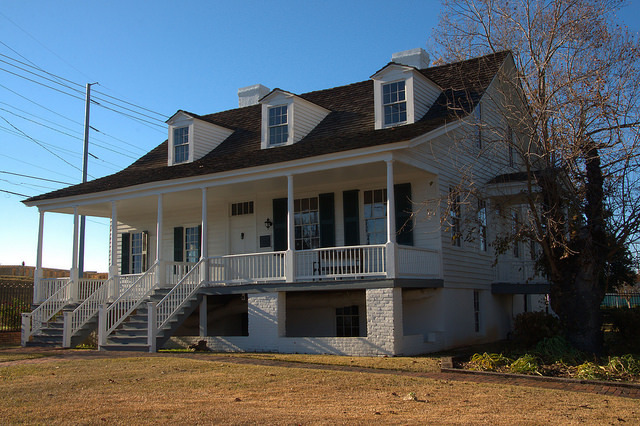 Sold in 1821 to mayor Samuel Hale, the building was expanded for use as a residence. 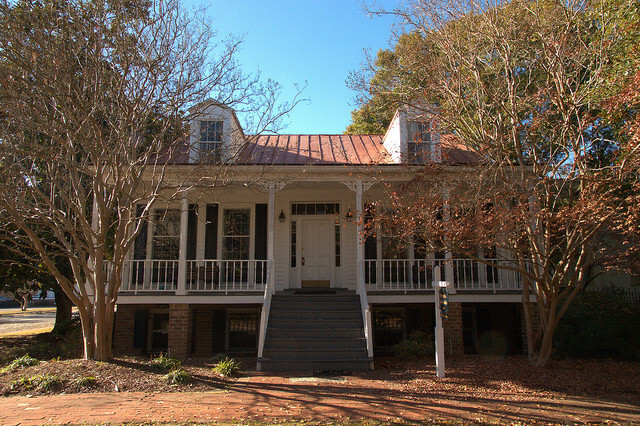 The family of Dr. Eugene Murphy were the last private owners, selling it to the Augusta Junior League in the 1952. It is depicted on both the Augusta city seal and flag. A gingko on the property is thought to have been planted on the lot in 1791 to commemorate George Washington’s visit to the city. 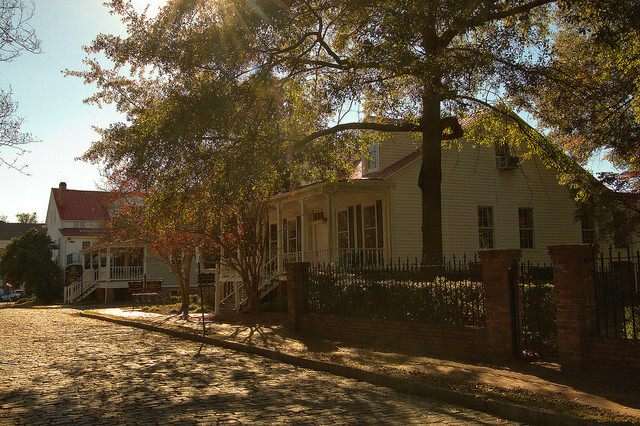 Adjacent to the Old Government House are several raised 19th-century cottages (possibly antebellum). 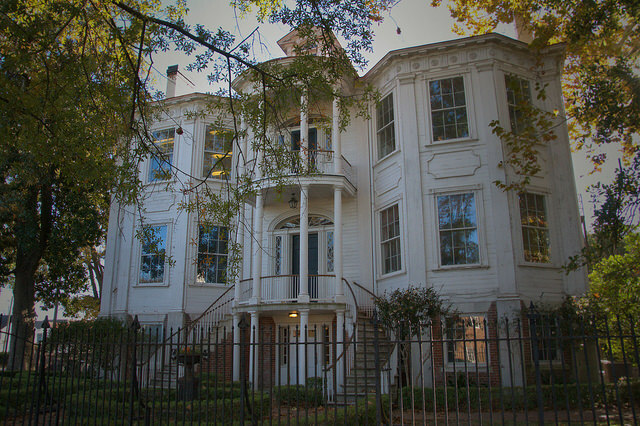 They were moved here to be saved from destruction in the mid-1970s as a pilot program of Historic Augusta, Inc. These wonderfully restored cottages now house law offices. 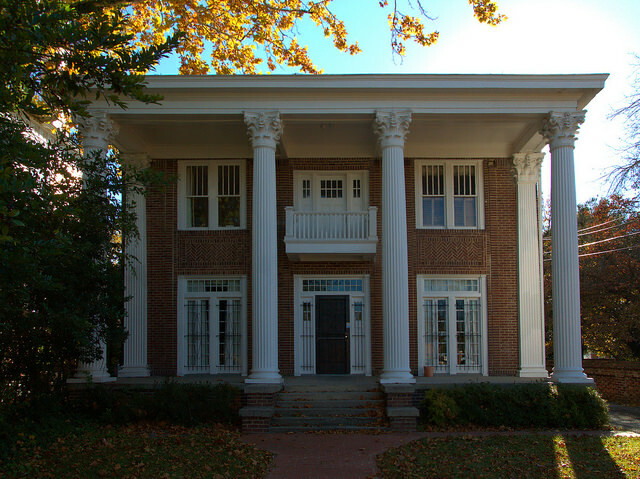 Upon coming to Augusta from Albany, New York, Frederick Adolphus Brahe built this Sand Hills Cottage in the Greek Revival style in 1850. Brahe was an accomplished silversmith and the Official Tender of the City Clock. His family’s business, Brahe Jewelers, remained open until the early 20th century. 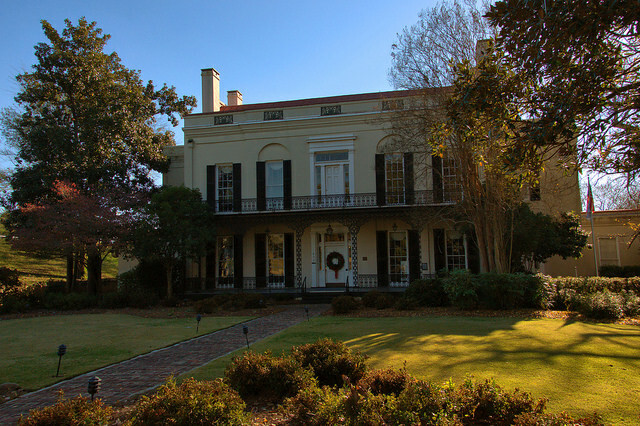 Perhaps the most famous house in Augusta, the Nicholas Ware House was given its pejorative nickname for its excessive construction costs. Ware was an early Augusta mayor and United States Senator. The structure is now home to the Gertrude Herbert Institute of Art.